Absa Group Limited is one of South Africa's largest financial services organisations, serving personal, commercial and corporate customers in South Africa. The Group interacts with its customers through a combination of physical and electronic channels, offering a comprehensive range of banking services, (from basic products and services for the low-income personal market to customised solutions for the commercial and corporate markets), bancassurance and wealth management products and services. Slip out of your stilettos and kick up your feet at the blissfully subdued, recently renovated cocktail lounge at the airport’s Gate A12. The chic lounge consists of clean lines, and is swathed in cobalt blue and the Alba damask pattern. It promises to put glamour into the airport waiting game with soft lighting, lush couches and a curved wooden bar flanked by glistening chrome bar stools. American Swiss first opened its doors in Cape Town in 1896. Now, more than a 100 years later, we are South Africa's leading jeweller, with stores located countrywide. Throughout our history, American Swiss has been at the cutting edge of jewellery trends, complementing the look of the day with the luxury and brilliance of fine quality diamond jewellery and watches. Flame grilled chicken - Barcelos products known for quality and generous portions. Bidvest Bank – South Africa’s leading foreign exchange specialist – offers a wide range of niched banking services. Products for retail customers include its World Currency Card range of pre-paid travel cards and Rand Card, the MoneyGram cash transfer service, the country’s widest standard selection of foreign banknotes, investment accounts and the Bidvest Bank Account, a transaction account that pays interest on balances as low as R50. Its credentials in foreign exchange services go back more than 150 years. 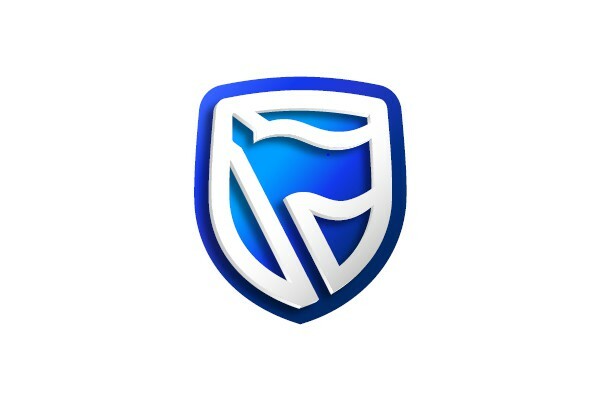 The bank is a member of the internationally diversified Bidvest Group and has held a full banking licence since 2000. Bidvest Bank serves its growing customer-base via 90 branches in all major centres in South Africa. One of the best reasons to shop at the airport is purchasing world-class items at the Big Five Duty Free. The store offers an unprecedented array of world-class jewellery, tobacco, liquor, toys and clothing. Why not sample the array of cosmetics and fragrances on offer from the houses of Chanel, Lancôme, Aramis, Givenchy and Dior to name but a few? Or round off your discounted shopping spree with some award-winning South African wine or tasty snacks and sweets as a gift for loved ones overseas. With all this on offer, and the sights and sounds of the runway just next door, you really will feel like you’re king of the world! Unique selection of local and imported sweets. The Cape Farm Stall and Gift Emporium will entice your five senses with Cape Towns’ finest produce. The deli offers a wide variety of herbs, spices, and oils. Make the perfect selection from delectable hand made chocolate, not forgetting the traditional South African snack; biltong. Spoil someone special with a beautiful Protea arrangement or choose from any of the many products on offer, these include: glassware, exclusive homeware, Cape themed tableware, souvenirs and novelties, all proudly South African from the incomparable Cape region. Enjoy the bounty of the Cape in this charmingly rustic emporium where biltong and droëwors hang from wooden beams and bunches of freshly cut Protea’s are stacked among the wine barrels. Seventy of the Cape's top wine estates are represented in this excellent selection of wine. South Africa brandies, sherries and port make tempting gift options and imported whiskies are also for sale. Biltong is carved at your request and smoked snoek, locally produced jams, chutneys, vinegars and dried fruit ensure a fulfilling shopping experience. Capi is specialised in selling photo, video and audio equipment, consumer electronics, computers, personal care, telecom products and a wide range of DVD's, games and CD’s. We offer a broad range at very keen prices. As we do not sell the same range in all shops, we have indicated our range per country. Of course our shops offer only A-brands. So, have you outdone yourself yet again during a last minute shopping spree and urgently need another bag for your goodies and gifts? Cellini is definitely the answer to your needs. As chic as a Milan boutique, it stocks all manner of baggage for the needy traveller from convenient backpacks to roomy holdalls and carry bags. Accessories and luxury items abound too, from locks and keys to stylish Italian leather suitcase sets. CNA is one of the oldest retail brands in Southern Africa having commenced trading in 1896, which makes CNA an incredible 115 years old. Now part of the Edcon Group one of Southern Africa’s leading retailers, CNA continues to be FIRST WITH THE GOODIES. With books, music, stationery, magazines, toys, photographic, communication and computer consumables, cards, gifting solutions, CD’s & movies, travel accessories, souvenirs and confectionery available in an easy to shop environment, we offer our customers of all ages an entertainment and lifestyle experience like no other. Sweets, chocolates, popcorn and biltong. Are you missing anything else for your flight? Some nuts perhaps? Maybe some crisps? Here is the secret about Cosmic Candy: you’ll find your favourites here, but there are always magical sensations you may have never tried before. Cosmic Candy simply has the very best range of snacks from local and international stores. Do we sense the onset of a plan for in-flight midnight munchies? Oh yeah! Try something amazing. Try Debonairs. incorporating a store-in-store concept within all Electro’s existing airport sites. customers and as the leading cellular brand Samsung, was the obvious choice. current range of Samsung cellphones, tablets, accessories and headphones. Lexar to name but a few. store-in-store concept stores in all South Africa’s leading airports and Casinos in the country. Express Cut and Blow has been opened to provide the traveler as well as people employed at the airport, with a convenient and professional place to have their hair cut. Too often travelers feel harassed and rushed, have to sit in overcrowded waiting areas or lounges or try find a seat at the busy restaurants. You now have the convenience of having a hair cut, head massage or simply a wash and blow as well as stock up on your hair products, whilst sipping a complimentary coffee and reading the newspaper waiting to board your flight. No more weekends and free time spent at malls, rather have it done at the airport on your travels, and arrive at your destination, appointment looking and feeling great. People working at the airport are now afforded the same opportunity with numerous specials on offer to them. We strive to consistently deliver a quick first class, friendly service, and we strive to ensure that all people connected with our business have an enjoyable and beneficial experience. Visit Express Cut & Blow on Facebook. 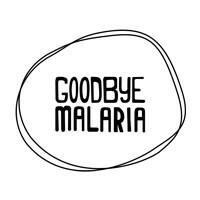 Our merchandise is on a mission - It's in aid of Goodbye Malaria, an organisation that's spraying homes to prevent malaria transmission in Southern Africa. All our merchandise is locally made, using crafters that have been developed, up-skilled and trained to make beautiful goods, allowing us to showcase the extraordinary talent here in South Africa. By purchasing our merchandise, you are not only supporting local talent, you are also aiding in the fight against malaria. Together we can say goodbye – tchau tchau – hamba kahle – au revoir –adios to Malaria. The JEEP concept store holds the widest variety of men's and ladies wear for individuals who live life without limits. 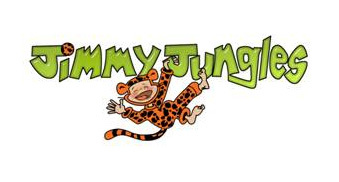 Material of highest quality is used in the manufacturing of Jeep products. The store does not only offer friendly customer service, but can be regarded as a corner stone to reliable outdoor wear. KFC is well known for the secret recipe developed by Colonel Harland Sanders over half a century ago. Kentucky fried chicken has invented other wonderful mouth-watering dishes such as the famous Chunky Chicken Pot Pie in the US, the Salmon Sandwich in Japan and the famous bucket in South Africa. LOUMOD is a dynamic company which operates upscale stores in three locations. We sell imported ladies and men’s leather shoes, handbags and accessories. Come see our Bold new look, highlighted by bright indigo blue – emphasizing Cape Town and it’s magnificent surroundings. Exciting new Cape Town themed clothing and accessories available now. 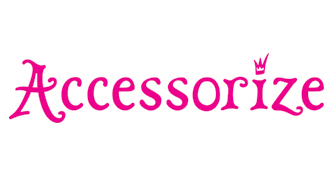 Now also stockists of International fashion accessories brand. Make us your last stop before leaving Cape Town. Mila Moji is a great place to buy fine emoji products. Our store and brand continues to grow as we pride ourselves on a high level of customer service and satisfaction. We stock only high-quality merchandise and we are open every day Monday through Sunday; servicing local and international customers in South Africa. Milamoji interacts with its customers through a combination of physical and online channels, offering a huge range of plush products and toys. We offer competitive pricing. Don't be fooled by cheap imitations, which imitate designs of our high quality emoji pillows. Unless you see that it's sold by Milamoji, it's not the same! Montagu Dried Fruit and Nuts is your one-stop speciality shop for treats from Mother Nature. Montagu Dried Fruit and Nuts is one of South Africa's foremost dried fruit, nuts seeds and healthy snack suppliers. The company, birthed and firmly rooted in Montagu, package and distributes innovative choice grade dried fruit, nuts, seeds, biltong and healthy snack products. You don’t have to look far to get more… With MTN, you can stay on top of it all. SMS, email, surf and talk away with our connectivity solutions, all designed to be customised to your specific needs. Whether you need more data, longer talk time or faster downloads, MTN will be there to get you connected. Primi food is fresh and fast,comforting and healthy, inspired by Italian tradition but influenced by the cosmopolitan present. All meals are freshly prepared from scratch using only the freshest and finest ingredients, just to give you an idea - our basil pesto is made from basil grown on the Primi farm using seeds flown in from Liguria. Primi food is natural sustenance of the most delicious kind. Parents and kids alike will be thrilled to find the "Primi Pods" kiddies area in front of the pizza section where youngsters are entertained by professional caregivers and chefs who teach the kids how to make pizzas, bake biscuits and even(hopefully) how to appreciate veggies! Designer and manufacturer of exclusive platinum and diamond jewellery, Shimansky is respected worldwide for superb quality, cutting edge design, and superior workmanship. Clean and contemporary, unique and timeless, Shimanskys' designs are inspired by the special moments in peoples' lives. We understand that the experience of buying fine jewellery should be as uniquely personal as the milestone it celebrates. For this reason, we pride ourselves on offering an unforgettable jewellery buying experience, the Shimansky Experience. With unrivalled individual service and attention to detail we trust you will treasure the memory of the moment of buying as much as you treasure the jewellery piece itself. The largest supplier of official licensed sports product in Africa supplying team wear such as Springboks, Bafana Bafana, Sharks, Bulls and the full range of FIFA 2010 football World Cup products. Try us for your favourite team's kit. Steers is South Africa's leading flame-grilled burger brand that has been serving "real food made real good" to South Africans for over 50 years. Steers is all about the burger and handmade chips. Aside from the wide range of beef, chicken and vegetarian burgers, together with the favourite king steer burger, one will also find that our menu has a wide range of other famous favourites, such as our flame-grilled basted ribs, hero steak rolls, creamy ice-creams and milkshakes. We use only the freshest ingredients and classic taste combinations to make the best burgers in town. Just about everything we serve is made to order. The burger is at the heart of everything we do and is always 100% real. Sunglass Hut understands fashion and the importance of delivering excellent customer service and product knowledge. With a wide range of premium and fashion brands such as Ray-Ban, Prada, Dolce & Gabbana, and sports brand Oakley - Sunglass Hut offers the most fashionable styles to wear - your sunglasses will be the most important and desired accessory you own. The Cross Trainer is the leader in the market when it comes to this seasons hottest lifestyle clothing and kicks – from Soccer Fan wear, to ladies, men’s and children’s ranges. 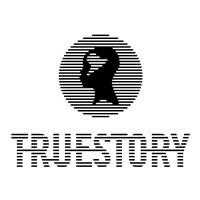 True Story is a curated, niche retailer of all that is beautifully African. We source the best of local design from Africa and we showcase it in our store, from art to fashion, accessories and homeware. Our range covers ties for all occasions. Silk, micro fibre, and polyester. Our shirts are in crisp cotton, of the highest quality, and affordable. Waistcoats, cravats, cufflinks, bow ties, scarves and accessories complement the range. The concept was born out of the heritage of a truly european espresso bar, a reaction to the insipid coffee shop culture that is prevalent in our daily lives. Vida e Caffè is a simple, focused concept that delivers an authentically european experience in espresso and coffee drinking. Vida e Caffè as a concept has existed, in one form or another, for centuries. Walk down any street in Lisboa, Porto, Rome, Paris or Barcelona, and you will see the sidewalk cafés that have been our inspiration. A shrine for the wonderful bean and the drinking of it in its purest form; the espresso. The simplicity of the interior, the focused menu, and the nature of the service, have all been designed with european street culture as the foundation. The Vida e Caffè espresso bars aim to deliver the highest quality coffee and pastries, prepared to european standards. Our menu is based on the fare typical of a street café in Lisboa, a slice of Europe on African streets. 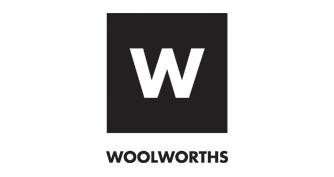 Woolworths sells food, clothing and homeware as well as an increasing number of cellular products. It also offers financial services in the form of storecards, the Woolworths Visa card and loans. Stores are located throughout the country and these vary in the combination of products that they sell. Some offer only food, others a combination of food and homeware and others - our ‘full-line’ stores – contain Woolworths total range. Yemaya Express is a kiosk offering affordable express nail services to people on the go. No appointments are taken, only a convenient waiting list system. Customers on a waiting list need never wait long as all the nail services offered from 15-30 minutes. Nail services include manicures, pedicures and uv gel nail overlays and foot massages for ladies, gents and teenagers. A fabulous range of nail polishes, hand and foot creams, cuticle oils and scrubs are available for purchase. Treatment prices range from R80 – R260.